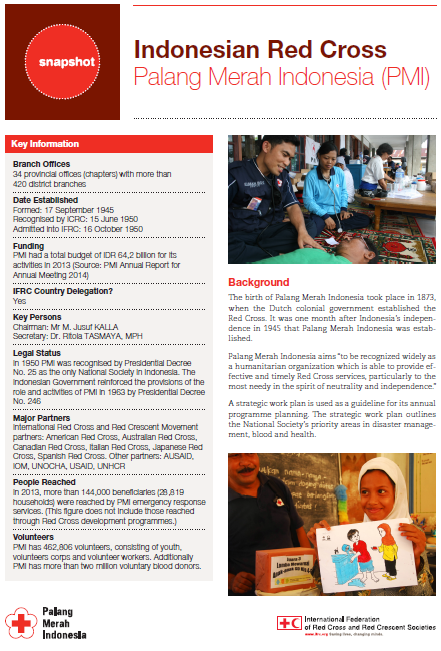 Indonesian Red Cross or Palang Merah Indonesia was formed in 1873, when the Dutch colonial government established a Red Cross society. It was one month after Indonesia’s independence in 1945 that an independent Palang Merah Indonesia was established. The society provides effective and timely Red Cross services, particularly to the most needy in the spirit of neutrality and independence. 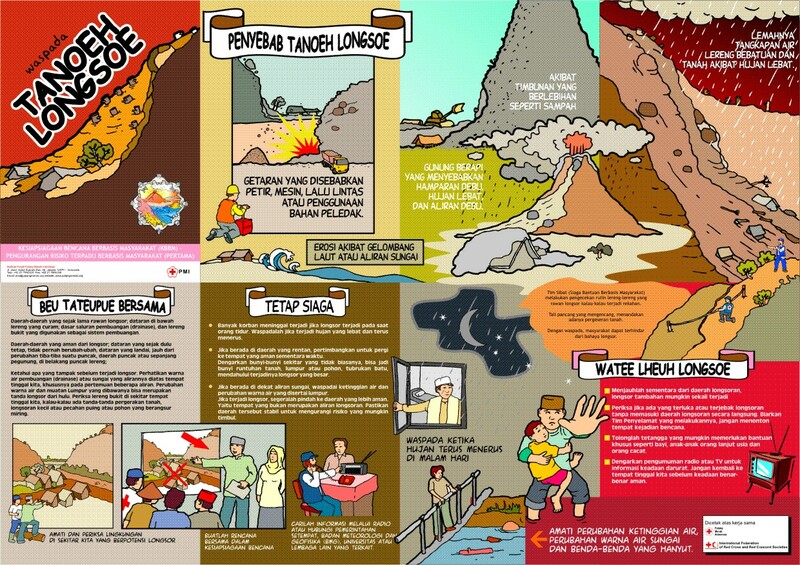 In the aftermath of the 2004 tsunami, Indonesia has been at the forefront of developing and promoting the integration of disaster preparedness into national and international laws. 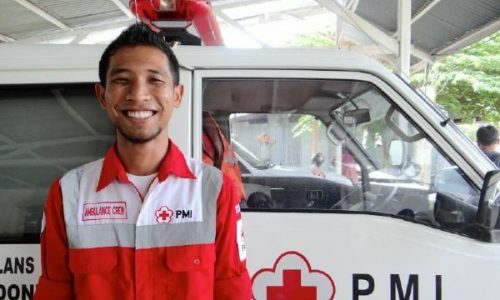 People Reached: In 2013, more than 144,000 beneficiaries (28,819 households) were reached by PMI emergency response services. In 2015 the number people reached by community health activities was 234,838, by long-term services and development programmes was 52,366, and by social services was 22,397. Volunteers: PMI has 597,120 volunteers (as of 2015), consisting of youth, volunteers corps and volunteer workers. Additionally PMI has more than two million voluntary blood donors.